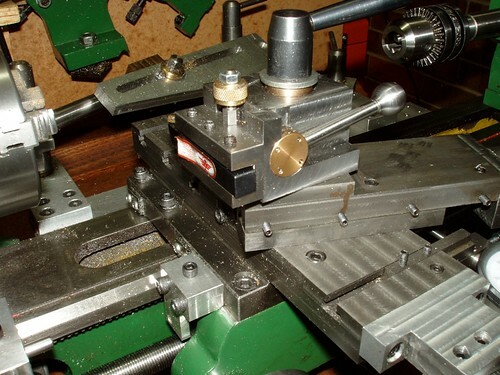 The taper attachment - the bronze block rides on the shaft and the slotted plate is attached to the crossslide. 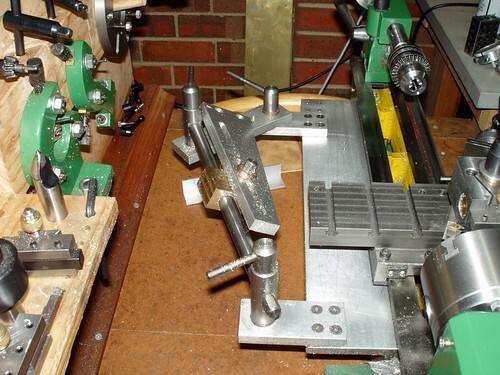 The screw feed on the crossslide is disengaged and as the carriage moves so does the crossslide according to the angle set. 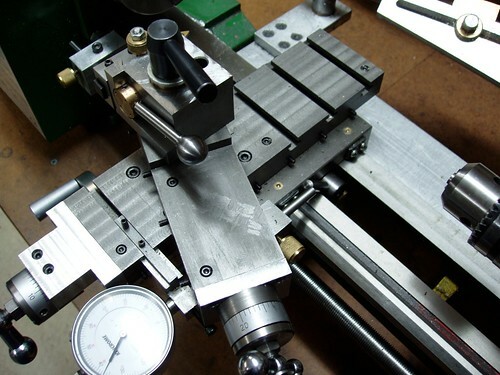 View from the other side showing tool holder for QCTP.